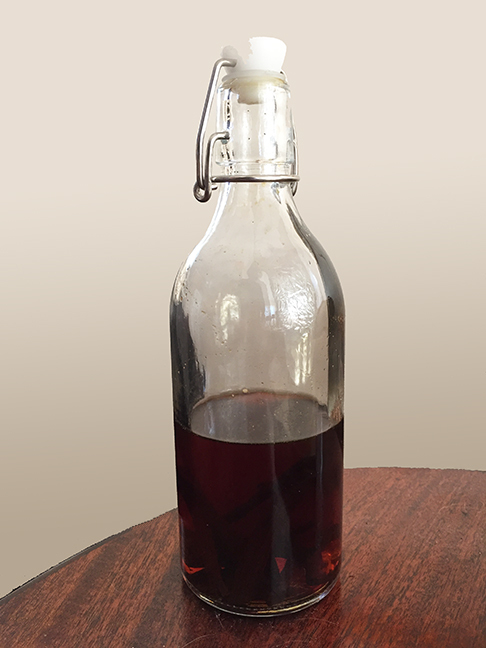 Homemade vanilla extract is prized for its rich, complex flavor and incredibly smooth aroma, there simply is no substitute. Take your baking to new heights with this super easy recipe. What makes homemade vanilla extract so much better than ‘store bought’? First, you have control over the quality and type of vanilla used in the extract. Using premium grade vanilla beans will provide significantly better flavor and aroma than commercially produced extracts. 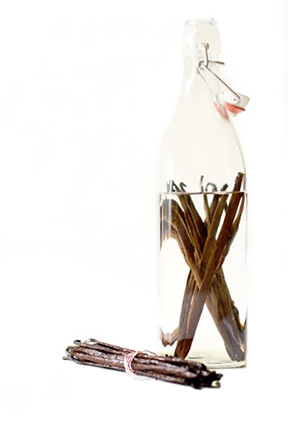 Did you know that you can make vanilla extract from different types of vanilla beans? Each different vanilla variety will create a unique flavor. If you prefer bold and smokey: Ugandan vanilla beans. Traditional, rich and creamy: Madagascar vanilla beans. Floral aroma with a unique cherry-chocolate flavor: Tahitian vanilla beans. You can even blend various varieties together! The floral, fruity, cherry-like notes of the Tahitian variety blend wonderfully with the nutty-chocolate character of the Bourbon varieties. 1 – 8 oz. glass bottle – or get a 6-pack for gift-giving! Slice each bean once long-ways and place in bottle. (It’s fine to cut beans into shorter lengths so they fit in the bottle more easily). Pour one cup of vodka (or alcohol of your choice) into the bottle. Make sure vanilla beans are completely submerged. Shake twice a week for eight weeks. At the end of eight weeks, your alcohol will have turned into delicious vanilla! Store at room temp, out of direct sunlight. After eight weeks, the vast majority of the extraction process is complete. The vanilla is now ready to use and the vanilla beans can be removed. If the vanilla beans are left in the bottle, the flavor will continue to evolve just like a fine wine—just make sure the beans are always submerged in alcohol!